In recent years the Western world has recognised yoga from a scientific perspective. The benefits extend the spiritual, with yoga showing to nurture both physical and mental wellbeing. Pranayama, controlled, mindful breathing is an important component of yoga, and literally translates ‘to extend the vital force of life’. Various studies have shown that adopting specific breathing techniques, one can reduce their stress hormone cortisol, and enter a meditative state, where one feels calmer and clearer. Through connecting one’s breath to the various asanas, the yoga postures, there have been reports of increased flexibility, muscular strength, endurance, and coordination. Consequently, athletes are now adopting yoga to enhance their athletic performance, both physically and mentally. Recent studies from Harvard, showed that 8 weeks of daily yoga practice significantly improved sleep quality for those with insomnia. 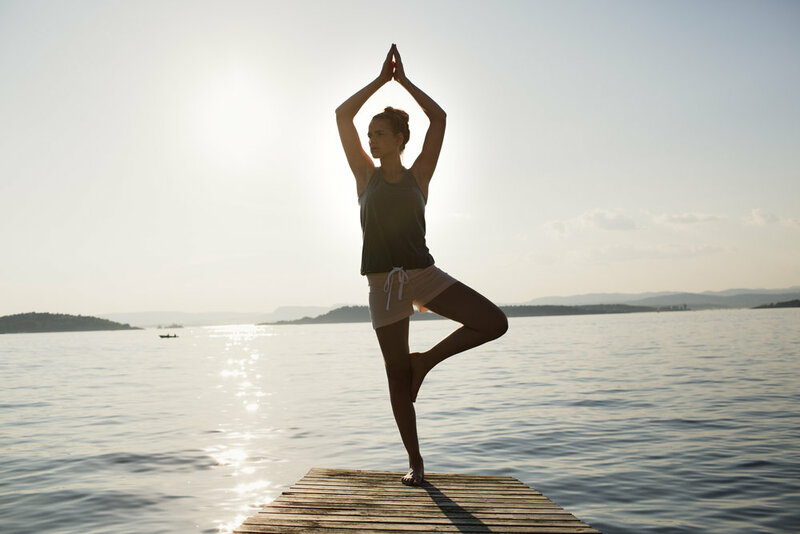 Perhaps this results from yoga leading to a less anxious, over active mind. When one’s mind is still, sweet slumber can follow. Disease, quite literally ‘dis-ease’ in the body, is thought to profoundly decrease with yoga, since yoga encourages healthy ‘flow’ of energy through the body. Yogic practice has been shown to decrease blood pressure, improve immune and lymphatic function, lower blood sugar and LDL, and decrease pain more effectively than morphine. They say that when you don't have time for yoga, that is the time you need it the most; you need to slow down, breathe in and connect to life. Let's all try and fit it into our daily routine; just 10 minutes a day can have significant benefits, and you need only comfortable clothing, a mat and your breath. Let's celebrate yoga on the 21st June, but also try to dance to its tune daily. creating a world where we are moving together.